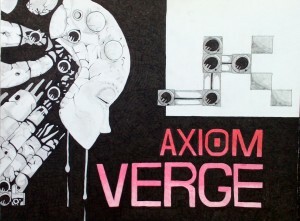 Well, I’m expecting this to be the last day of this Axiom Verge artwork. The Micron pen I was using is running out of ink, the picture looks good, and I feel that it’s time to move on to something new. I’m not really sure what that will be yet, but I have until tomorrow to figure that out. I’m currently trying to get through hard mode in Axiom Verge, and I’m having a pretty rough time of it. I’m pretty far into it, so I’m certainly not going to give up now. I’m just stuck on this annoying flying insect boss and no matter what I do, I just can’t figure out a good way to beat him. Of course, I had no problems with him on normal mode. But this is hard mode. It’s an entirely different story. Anyways, it’s been a rather slow and boring day today, so I’m going to leave it at that. 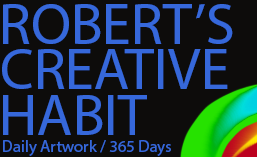 I’ll have to get back to it tomorrow and try to find something interesting to talk about. This entry was posted in Character, Scene. Bookmark the permalink.